Ana is a member of the PIDG Ltd. Credit Committee. 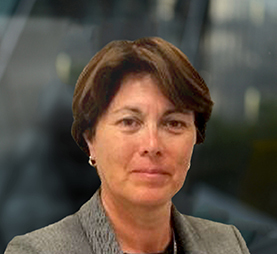 She is Managing Director of Eaglestone Advisory and has 26 years of investment banking experience across Emerging Markets (EMEA, China, Central Asia, Central and Eastern Europe and Latin America) and developed economies (Western Europe and Australia). She is also an experienced Non-executive Director for financial sector entities, non-trading associations and charities. She currently provides financial advice to companies and financial institutions with a presence in and focus on Sub-Saharan Africa in relation to the funding of greenfield/brownfield projects in the infrastructure, energy, and finance sectors. Ana previously worked for Chase Manhattan Bank, ABN AMRO, Calyon, Banca Intesa, BBVA and Espirito Santo Investment Bank. She holds an MSc in Economics from Pontificia Universidad Católica de Chile.